One of the first songs that urban-jazz saxophonist Sam Rucker recorded for his third album, “Redemption,” was the soothing “Overcomer,” on which he emotes intimately on soprano sax during an uplifting exchange with a guitar duo comprised of his nephew, Justin Taylor, and John Calisto. Tragically, both guitarists passed away unexpectedly three days apart and the tune Rucker wrote to comfort and inspire others became his own healing grace. It is a focal point of the rousing eleven-track set penned and produced by Rucker that drops August 24 from Favor Productions. Rucker’s life and his musical journey have evolved in recent years, growing from a gritty hip hop producer into a soul-baring R&B-contemporary jazz instrumentalist, yet his faith has never wavered. He is on a mission as an empowering evangelic emissary, using his tenor, alto and soprano sax on “Redemption” to deliver heartening orations that commiserate and console as much as persevere and conquer. His writing, production and sax play reflect a more refined, mature and sophisticated auteur who retained just enough of the raw urban grit from his edgy past to ensure that his recordings are genuine. Despite enduring pain, struggle and suffering, Rucker never loses sight of the Divine hand orchestrating it all – the victories and the losses – purposely placing his focus on the abundance of blessings and the love that cushions his every fall. A native of Edmonton, Alberta, Canada, a student at the University of Calgary and at the Humber College of the Applied Arts in Toronto Sheldon Zandboer became a respected music director, staff arranger and keyboardist at numerous musicals and shows. He was member of the bands the Soul Providers and YoMoZo. In 1999 he became jazz piano/arranging/ensemble instructor on the faculty of jazz at Mount Royal University. He also worked as audio designer for some famous clients. He is currently working as a vocal coach/music director at Central Memorial High School of Arts. 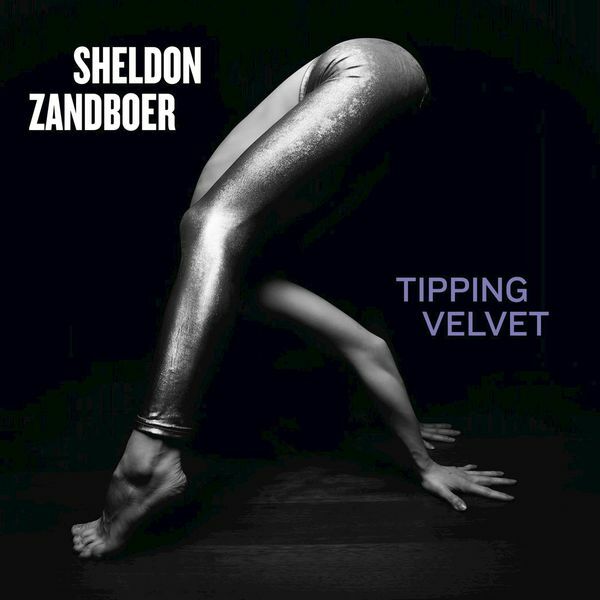 Tipping Velvet (2018) is Sheldon’s first solo project. The album was recorded live off the floor at OCL Studios, Calgary, AB. Keyboardist Sheldon Zandboer is joined by George Koller on acoustic bass, Bob Tildesley on trumpet/flugelhorn, Andy Ericson on drums and singer Johanna Sillanpaa featured on I Will Wait. Sheldon has composed all tunes. Decorative music is what Kai Otten calls his second acoustic-electronic album Camper Mode. This is not meant to sound belittling or even disparagingly in any way. Quite the contrary: Because good music can indeed be background music, says the 33-year old composer, producer and guitarist. Music can be gentle, invite you to dream and relax – but also has to take the listener up his or her promise to decode what actually happens. And that is what you can find a lot of on Camper Mode, released on Kai Otters own label Lounge Aroma. The influences and the sounds range from Ambience to Easy Listening to Electronica, from Flamenco to Jazz to Trip Hop. Handmade sounds and self-made instruments meet synthesizers and sound samples like crackling, noise, rustling and ringing. And every time Kai Otten`s crystal clear solo concert guitar puts itself on top of the lovingly composed instrumentals. You can already pre-order and sample his new album on Amazon.com. Indulging his passion for R&B-pop on the second volume of his five-part, multi-genre “Outside the Box” series, keyboardist David Garfield will release “Jammin’ Outside the Box” on July 20 on Creatchy Records. Like the first disc, the straight-ahead jazz exploration “Jazz Outside the Box,” Garfield produced, arranged and played piano, Fender Rhodes, Wurlitzer electric piano and synthesizers on a carefully-selected set list with purposefully-chosen collaborators that spotlights sessions with seminal icons, Grammy winners, chart-toppers and prominent players. Garfield has a personal connection and meaningful history with every song and each musician he selected for the groove rich, soul-jazz album, crucial elements that position the ambitious “Outside the Box” anthology towards becoming an enduring, career-capping collection. Two of the singles that prefaced “Jammin’ Outside the Box,” “Go Home” and “Jamming,” peaked in the Billboard Top 10 and the recently-released third single, “Stay” featuring George Benson, David Sanborn and singer-songwriter Moon Calhoun, aims to follow suit. In addition to the three original Garfield tunes, including “One Like You,” which he wrote with Smokey Robinson, who plies his trademark falsetto complimented by Michael McDonald on background vocals, Garfield redesigned R&B, funk and pop classics made famous by Stevie Wonder, Bob Marley, Adele, Sting, Aretha Franklin, Toto, Isley Brothers, Rufus, Minnie Riperton, Bobby Caldwell and one of his keyboard mentors, Joe Sample. To do so, Garfield gathered members of the Zac Brown Band, Steely Dan, Tom Petty’s Heartbreakers, Chicago, Toto and Tower of Power along with an army of noteworthy soloists including Ray Parker Jr., Kirk Whalum, Rick Braun, Marcus Miller, Paul Jackson Jr., Eric Marienthal, Tom Scott, Vinnie Colaiuta, Greg Phillinganes, Steve Jordan, Freddie Washington, Will Lee, Tony Maiden, Rickey Minor and Lenny Castro. Incognito founder Jean-Paul ‘Bluey’ Maunick realized his musical ideas always with various formations. Citrus Sun is one of these groups. Member of this project are Bluey (guitar and vocals), Jim Mullen (guitar), together with Incognito members Matt Cooper (keyboards), Francis Hylton (bass), Francesco Mendolia (drums, percussion)), Francisco Salas (guitar), and Dominic Glover (trumpet). Furthermore singer Imaani and Natalie Williams are joining the band. After Another Time Another Space (2000) and People of Tomorrow (2014) is Ride Like The Wind (2018) their third joint project. The title of the first piece Refugee is very topical in this day and age. As an instrumental, the piece composed in cooperation of all participating musicians offers music of the finest, although the possibility of a message was omitted. A delicious amalgam of mellow grooves and funky rhythms, the aptly titled Smoothability is the dynamite with which Ukrainian born, rising sax star Andrey Chmut is making what promises to be a truly explosive debut. Typified by the upbeat title cut (and first radio single) which includes Wha Wha guitar from the unmistakable U-Nam, Smoothability is living proof that, in this joined up musical world, an effective social media presence can be the avenue to great success. In fact it was Andrey’s work with Artem Lebedev that provided him with YouTube exposure, which he later built on through appearances with fellow Skytown label mate Valeriy Stepanov. Andrey played sax on four of the tracks from Stepanov’s debut CD New Beginnings and now for Smoothability Stepanov has written three new songs to ensure the favor is well and truly reciprocated. The first, the lusciously mellow Those Sweet Nights, proves to be right on the smooth jazz money and much the same can be said of Don’t Loose the Faith that remains sumptuously ‘in the pocket’ throughout. Completing this glittering trio of original Stepanov compositions is Night Ride where Chmut’s playing is impeccable and although Jazzed Up delivers exactly what the title suggests it might it is with K-S.U. that Andrey confirms that here is a guy who really knows smooth jazz. More magic comes with another of Chmut’s own tunes, Song for a Friend for which U-Nam makes a welcome return on featured guitar while later the uplifting I’ll Always Be There benefits from carefully crafted vocal contributions from Artem Banar and Cleulia Daniel. It’s been a journey and no mistake but now, with Smoothability, Andrey is finally stepping center stage. The passion and essence of Nathan’s music has penned his name in the hearts of musical innovators, listeners, and lovers all over the world. This BILLBOARD vocalist, songwriter, producer, and multi-instrumentalist is known best for his showmanship, unique talent, enthusiastic energy, and funk as a collaborator with many of smooth jazz top GRAMMY winning, nominated, and BILLBOARD artists. As such, he has crisscrossed the globe, touring with luminaries of the smooth jazz/ RnB industry like Nick Colionne, Lin Rountree, Paul Brown, Jackiem Joyner, Elan Trotman, Dawn Robinson (En Vogue/ Lucy Pearl), Irene Cara, Stokley (Mint Condition), and many more premier industry artists. His 2012 release of “For All Eternity” accompanied by the heartfelt tribute to his wife, who passed away of cancer in 2010, “My Angel” has noted the true passion of what music lovers crave in what they coin as – Music From The Heart. In 2014, he collaborated with James Lloyd (Pieces of a Dream) on to release his first billboard song “Play It Forward”. This placed Nathan on the radar of many established artists looking to make a new sound in the smooth jazz industry. His musical talents have taken him from Africa, Australia, New Zealand, Europe, Alaska, and many other parts of the world. His new album is Smooth Groove, a passionate, soulful, funky, and energetic approach to smooth jazz. Get it now on CDBaby.